Armando Cesari argues that, "In assessing Mario Lanza, the fact that his career took place mainly at MGM, instead of the Metropolitan, should not be the issue." Instead, Cesari asserts, Lanza "should be judged purely on the evidence he left behind, which contains many recorded performances that will stand comparison with––and often surpass––those of more fortunate singers whose careers have been almost entirely devoted to opera." However, it needs to be said that locating Lanza’s best recordings can be a daunting task. In the first instance, his legacy is a vast one: almost 400 studio and radio recordings, together with numerous alternate takes and unreleased soundtrack recordings, concert recordings, television performances, and a fascinating series of home rehearsals. 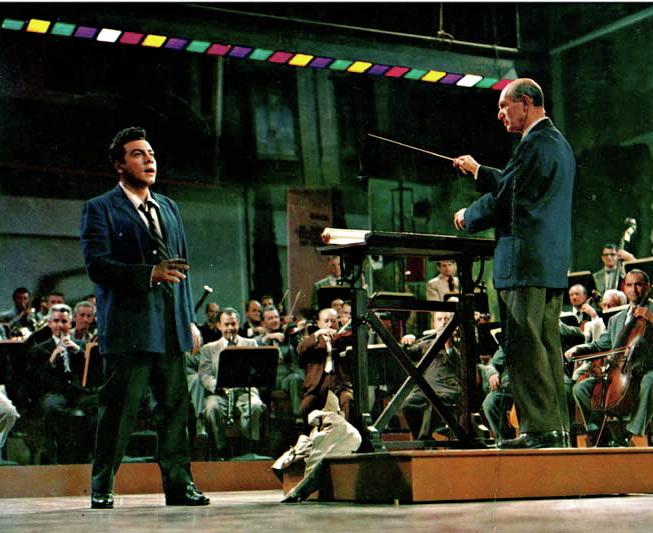 Among the material known mainly to Lanza aficionados, there are many outstanding recordings, including a 1951 rendition of Jerome Kern's "All the Things You Are"—recorded for Because You're Mine but never used in the film—in which the tenor dispels all notions that his singing was incapable of nuance. This recording can be heard on the 2016 Sepia Records CD Mario Lanza: Never Till Now, a compilation of some of Lanza's finest English-language recordings. The variety of genres included in Lanza's legacy is astonishing too: popular songs, operatic arias, operetta, show tunes, art songs, religious songs, and Neapolitan, Spanish and Italian songs. [See this essay for commentary on his LPs, together with CD recommendations.] Although, perversely, Lanza’s versatility has often been held against him, it would be difficult to find another singer as convincing in so many different musical forms. As Enrico Caruso, Jr. observed, "Let it not be forgotten that Mario Lanza excelled in both the classical and the light popular repertory, an accomplishment that was beyond even my father’s exceptional talents." Lanza's 1951-52 Coca-Cola-sponsored radio show is the other main source of substandard recordings. 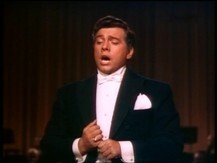 Although he recorded many superb renditions of English songs for these shows—including "Without a Song," "If I Loved You," "Some Day," "I'll Be Seeing You," and "Begin the Beguine"—Lanza's singing of operatic arias and Neapolitan songs, in particular, on these programs often left much to be desired. Sloppy, mannered, and generally wildly over the top, this is the Lanza whom critics delight in attacking. What the tenor's legion of detractors overlook, however, is that despite its over-representation on CD compilations, the "Coke" material represents a mere eleven-month period in Lanza's life when his career was, in many respects, at its most chaotic. It should also be remembered that these shows were never intended for posterity, and that rehearsal time was often minimal at best. 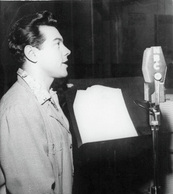 Most of Lanza's radio renditions of arias and Neapolitan songs—and also a fair number of the English songs—are not representative of the standards he had already achieved either on his film soundtracks or in the RCA studios, and, indeed, would often go on to surpass in the latter part of his brief career. By posthumously releasing so many inferior radio performances, SonyBMG has not helped the tenor’s critical rehabilitation. But no one—save the most diehard of Lanza's detractors—can overlook the many great recordings of his legacy. Scattered willy-nilly across several BMG/Sony CDs (Mario Lanza: Opera Arias and Duets; the hard-to-find but excellent Mario Lanza: Encore! ; the BMG UK "twofer" Serenade/A Cavalcade of Show Tunes), Lanza's outstanding operatic recordings include his 1949 "Che Gelida Manina," his 1950 rendition of "E Lucevan le Stelle," a near-flawless "M’Apparì," the Improvviso from Andrea Chénier, "Dio! Mi Potevi Scagliar" and the Death Scene from Otello, and the 1955 version of "Amor Ti Vieta" from Fedora. There are also several poignant renditions of "Vesti la Giubba" from Pagliacci, including a 1948 concert performance and the 1958 soundtrack recording from For the First Time. The 2011 official DVDs of The Great Caruso—-and Serenade, in particular—feature Lanza in top vocal form, and performing alongside some of the leading Metropolitan Opera singers of the time. Among his lighter repertoire, Lanza's MGM recording of The Student Prince features some of his most poetic, lyrical singing. Recorded in 1952-53, with Lanza at his vocal peak, highlights include the Romberg "Serenade," "Beloved" (arguably Lanza's finest English-language recording), and "I’ll Walk With God." The best audio reproduction of this album in its entirety can be heard on the 2009 5-CD SonyBMG set Mario Lanza: Original Album Classics. Lanza's evocative rendition of the "Song of India," an adaptation of the "Song of the Indian Guest" from Rimsky-Korsakov's opera Sadko, is another outstanding English-language recording. Lanza also excelled in Neapolitan songs. His 1958 album Mario! showcases much of his best singing in this genre, and includes outstanding renditions of the songs "Voce ’e Notte," "Passione," "'Na Sera 'e Maggio," "Tu ca Nun Chiagne" and "Canta Pe’ Me." On CD this album is best heard in its entirety on the 2006 SACD (Super Audio Compact Disc) release Mario! Lanza At His Best. 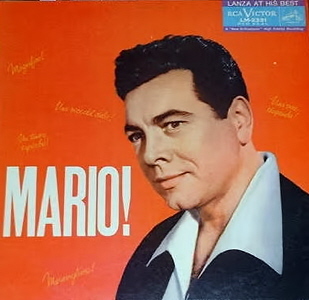 (An alternative choice on CD is Sepia Records' Mario Lanza: My Italian Soul, which includes the highlights from Mario!, in addition to the best of Lanza's remaining Italian and Neapolitan recordings.) Arguably Lanza’s finest concept album, its respected conductor, the Academy of Santa Cecilia’s Franco Ferrara, later hailed the tenor’s "great musicality," further describing him as "vocally extraordinary with a voice that combined steel with warmth . . . a Caruso-type voice." 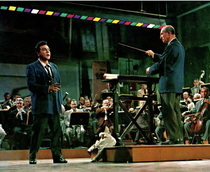 There are also a large number of good recordings, including the poignant 1959 album Mario Lanza Sings Caruso Favorites—sung in what Lanza aficionado Lindsay Perigo accurately describes as the tenor’s "most haunting ethereal voice"—and the delightful Christmas With Mario Lanza CD compilation, together with many fine performances of English love songs and operetta. Perhaps the best introductory CD to Lanza is the 2004 "twofer" Christmas Hymns and Carols/You Do Something to Me, which brings together some of Lanza's finest recordings of religious songs, love songs and operetta, together with the "Song of India" and the 1949 "Che Gelida Manina." In short, it is a legacy peppered with glorious moments. An uneven legacy, to be sure, but one that overflows with passion, romance, and excitement. While those who demand stylistic perfection and an infallible sense of pitch from their singers will inevitably be disappointed by Lanza, they would do well to note the tenor’s musical philosophy: "I sing each word as though it were my last on earth." In essence, that credo is the key to the tenor’s enduring appeal. His contemporary Oreste Kirkop knew it. "Only a great heart can sing the way that Lanza sang," the Maltese tenor once observed, echoing the words of Lawrence Tibbett, who had earlier hailed Lanza's "natural zest and unbelievable diction." Although the longhairs have panned him as "a movie singer," Tibbett publicly declared in 1950, Lanza is "the greatest musical talent of America in our century. A man who is bringing great music to the kids, the farms, the ghettos, and the palaces." In 50 years, he concluded, "people will recognize Lanza for the great artist he is." Many of today’s listeners—untainted by the prejudices of an earlier generation—may well agree. Caruso, Enrico Jr. and Andrew Farkas. Enrico Caruso – My Father and My Family. New York: Amadeus, 1990. Cesari, Armando. Mario Lanza: An American Tragedy. Fort Worth: Baskerville, 2004. Fogel, Henry. Fanfare. November 1987 and January 1990 editions. 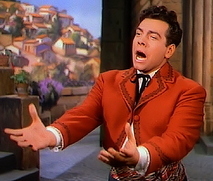 In my admittedly biased opinion, Armando Cesari's Mario Lanza: An American Tragedy (Baskerville, 2004) is the definitive Lanza biography. For more information on this book, click here. 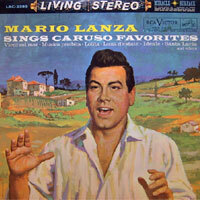 Of the remaining Lanza biographies, The Mario Lanza Story by Constantine Callinicos and Ray Robinson (Coward & McCann, 1960) – though often inaccurate and self-serving – is intermittently interesting, and Mario Lanza: Singing to the Gods by Derek Mannering (Mississippi UP, 2005) is a straightforward if musically undernourished account of Lanza's life. These and other English-language biographies are discussed in detail on our forum here. While not a biography as such, Mannering's Mario Lanza: A Life in Pictures (Robert Hale, 2004; reprinted 2015) is a handsome collection of Lanza photographs. Also recommended is Lindsay Perigo's 2015 e-book of celebratory essays, interviews and reviews, Mario Lanza: The One Tenor. 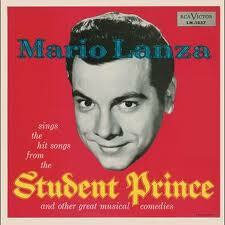 The Student Prince (1954)--voice only, beautifully reproduced on this 2011 DVD. That Midnight Kiss/The Toast of New Orleans (Double DVD – Warner Bros. 2007). Mario Lanza: The Best of Everything (Screenbound, 2017). An excellent documentary featuring incisive commentary from tenor Joseph Calleja and soprano Lesley Garrett, among others. A selection of rare videos and non-commercial audio recordings is available from The Mario Lanza Institute in Philadelphia.